Who Makes This Stuff ? 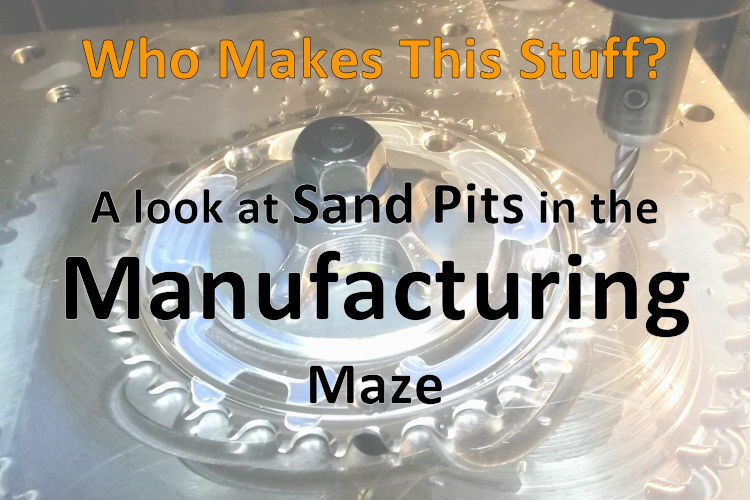 Potential Sand Trap #4 — Manufacturing. Have you received an email from some place in China saying they want to manufacture your widget? Make your Prototypes or Sell your Widget? Here’s an example of one that came to me. I have no idea if this company is good or not, or if the people are honest or not. I have had no interaction with them beyond receiving this note. However, we did have an incident with a different manufacturing company. After quoting and setting up the project, we sent them a deposit, but they did not receive it. After some investigation, it appears that their email was hacked, and someone had inserted a different bank account number. We have no idea what really happened, even though in the end some of the money was recovered. The point here is understanding the where, what and how of a manufacturing choice is not as simple as answering an email. For more, please read Pros & Cons of Foreign Manufacturing or Domestic. Are you in the manufacturing field? Can you name 5 different ways to manufacture plastics? Think about it for a minute. Will your widget be made (all or in part) from plastic? How about 5 ways to process metal? Do you know why to choose one manufacturing method over another? Do you know which materials or processes are most expensive and which are the least? Now the key: Which is best for your widget? If you think you know, justify it by compare and contrast. Stop here for a minute and think about the above. The questions are asked to illustrate a point, not to insult, because “best” is not the same for everyone. If you don’t know . . . If you don’t know what materials and manufacturing processes are best for your Widget, how are you going to get it made in the most efficient and effective way? The biggest and most important take away I hope you get from all of these pages is that a startup is a learning process. At a big corporation, they have lots of people doing different jobs — all specializing in one aspect of the process to make the company go. By contrast, in a startup, one or few people get to do everything. You can’t be an expert in everything, so build your resources! Especially in manufacturing, no one knows everything, but there are people around that know the parts you need. There are so many resources to draw upon. If you don’t know who to ask, ask your associates who to ask. I started this company, Synthesis Engineering Services, with the concept that one is limited, but many are unstoppable. I don’t know (and can’t know) everything that my customers may need, but I can certainly find out who does know about each piece. The concept is “bringing the pieces together for a coherent whole“, and I have developed a network of people that know stuff. That network is amazingly helpful. In a startup, you need to do something similar — build a network of smart people that can help guide you. Where Should I Get The Widget Made? First, What (Who) are your resources? Find some friends (and make new friends) that can help. Second, Talk to several people. Don’t take the first opinion you get. The first opinion may be correct, but you need knowledge and other views so you can make the right choice, and you won’t know if the first opinion is right until you find some wrong opinions. Third, Learn what you can. Learn everything you can about options, because a knowledgeable consumer has power. Go forward Informed, & Go Deliberately. If you’ve done the steps above, you’ll have confidence in your decisions and you can move purposefully forward.